Lee Shearer APM helping steer a community consultation session for the Go Jindbayne Masterplan in December 2018. Photo: Supplied. Jindabyne’s neighbours are invited have their say on the town’s future later this week with another round of discussion tied to the Go Jindabyne Masterplan. A series of community meetings will be held in Berridale, Dalgety and Adaminaby on Thursday and Friday (January 24/25). The visit is a follow up to what has been described as a highly productive initial round of consultation completed in Jindabyne itself before Christmas. Around 400 people attended one of nine workshops or visited the information van at Nuggets Crossing. 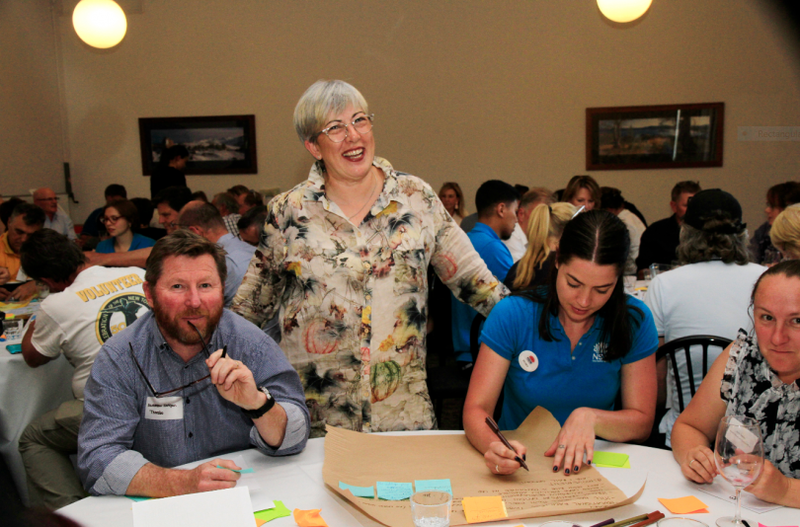 “We learned an enormous amount about the challenges and opportunities that exist to create a fantastic place all year round for the Jindabyne community and the town’s many visitors,” says Lee Shearer APM, who is leading the NSW Government’s Go Jindabyne Masterplan process. The Go Jindabyne Masterplan was launched in November last year with the aim of developing a carefully considered plan to ensure Jindabyne develops in a way that realises its enormous potential. Taking in all aspects of life in Jindabyne, the plan will deal with tourism, jobs, services, accommodation, housing, roads, local products and all the factors that contribute to the character of the town. Around 400 people attended one of nine workshops or visited the information van at Nuggets Crossing. Photo: Supplied. Bruce Easton, President of the Jindabyne Chamber of Commerce says people left the December sessions with confidence in the process. “People are very optimistic and can see that things are changing. 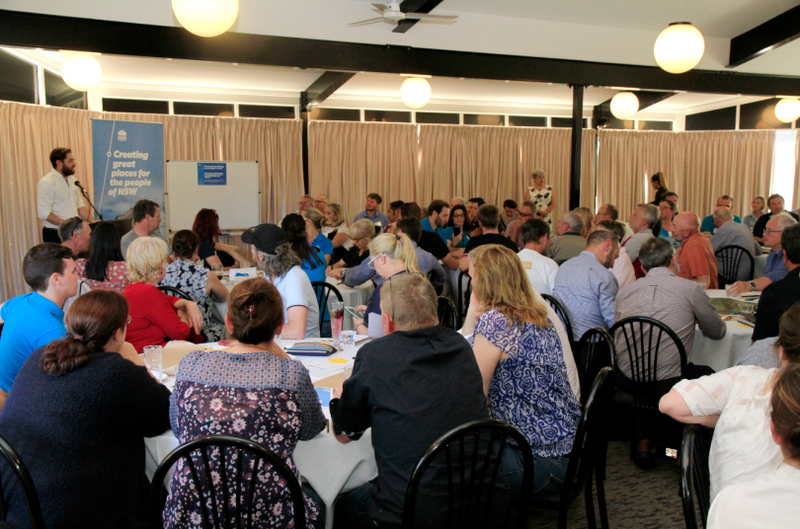 Aged care, education, infrastructure and transport were all things people wanted to talk about,” he says. Mr Easton is keen to see more people engage and have their say. Mr Easton is hopeful the people of Berridale, Dalgety and Adaminaby will turn out and add their perspective and experience of working, shopping, and visiting Jindabyne to the mix. Friday, 25 January, 12:30 pm – 2:30 pm, Adaminaby Bowling Club, Snowy Mountains Highway, Adaminaby. A draft of the Go Jindabyne Masterplan will be released for the community to review before mid-2019.